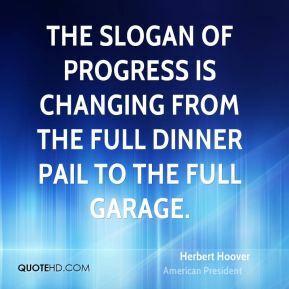 The slogan of progress is changing from the full dinner pail to the full garage. 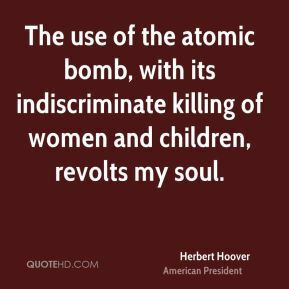 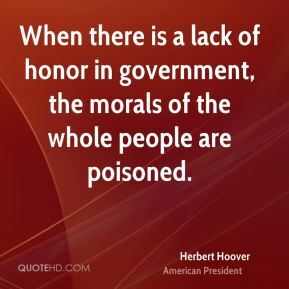 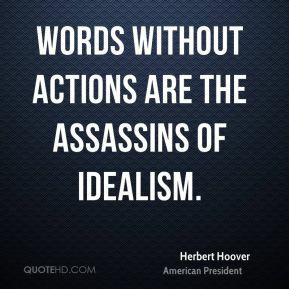 When there is a lack of honor in government, the morals of the whole people are poisoned. 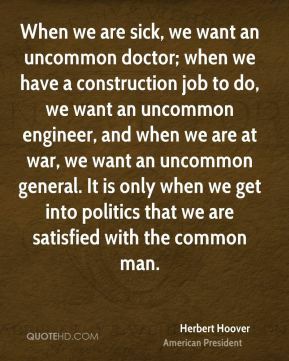 When we are sick, we want an uncommon doctor; when we have a construction job to do, we want an uncommon engineer, and when we are at war, we want an uncommon general. 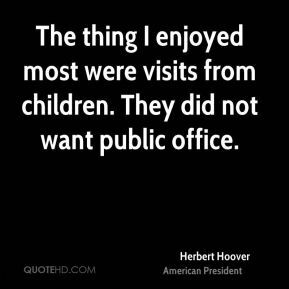 It is only when we get into politics that we are satisfied with the common man. 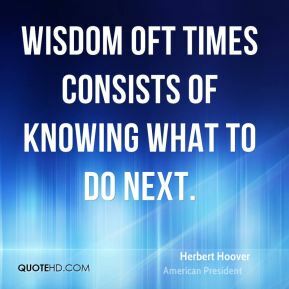 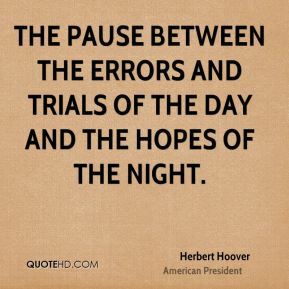 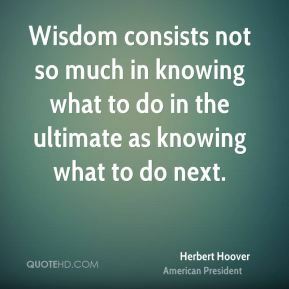 Wisdom consists not so much in knowing what to do in the ultimate as knowing what to do next.